Joseph and I grew up watching Star Wars. My love and knowledge of Star Wars was one of the things that impressed Joseph. Naturally, we are passing on our SW Fandom to our son, Norrin – whose middle name is Luke (as in Skywalker). We got our Star Wars fill at Disney’s Hollywood Studios! 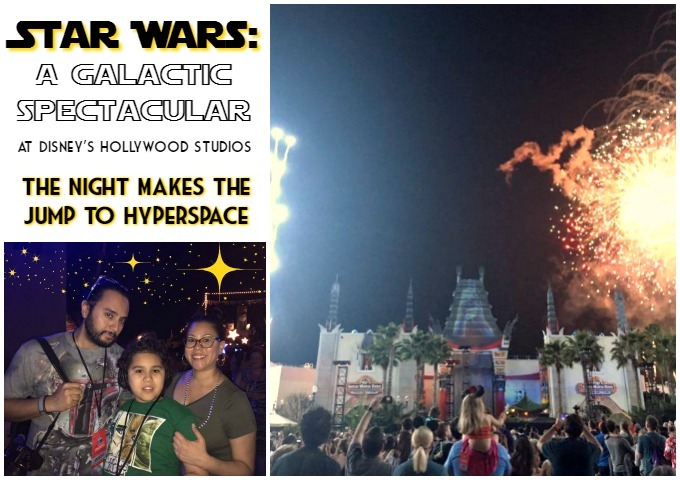 While we had a blast riding Star Tours – The Adventures Continue (4 times! ), exploring the Star Wars Launch Bay and stocking up on souvenirs at the Tatooine Traders. It was the Star Wars: A Galactic Spectacular we especially loved. Star Wars: A Galactic Spectacular pays homage to your beloved Star Wars characters. Best believe I teared up when Carrie Fisher appeared. While the Galactic Spectacular is a show for the fans, you don’t need to be a Star Wars fan to appreciate the Galactic Spectacular. After 14 minutes of spectacular viewing – you’ll run to add the Star Wars films to your must-watch list. The Star Wars soundtrack is as unique and legendary as the characters themselves. It propels the story and takes you through the emotional journey. Watching it all come to life with “state-of-the-art projection effects, dynamic lighting, lasers and pyrotechnics” was amazing. Star Wars: A Galactic Spectacular takes the saga to whole other level. If you are planning a trip to Walt Disney World, Star Wars: A Galactic Spectacular at Disney’s Hollywood Studios is a MUST SEE. 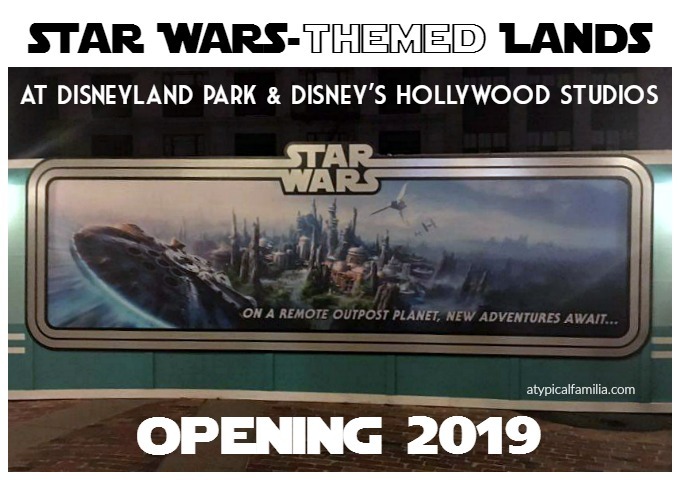 Needless to say we cannot wait for the Star Wars Land to open at Disney’s Hollywood Studios. We love visiting the Park for Star Wars Weekends and I’m eager to see how the Park evolves to embrace my favorite franchise. For more information visit disneyworld.disney.go.com.